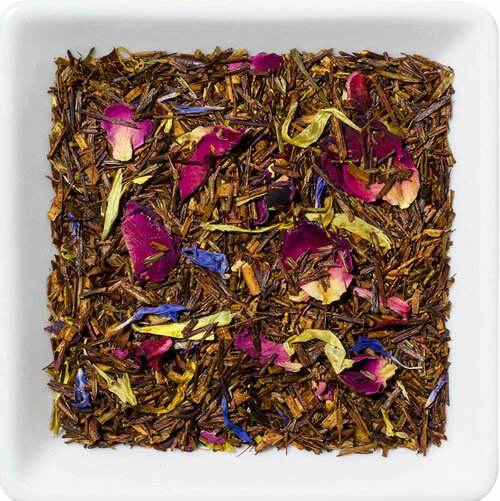 Flavoured Rooibos with mango/passion fruit taste. 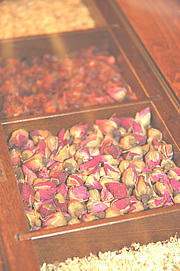 Rooibos, hibiscus, rose petals, blue mallow blossoms, sunflower petals. For food safety reasons, always use boiling water to steep fruit melanges and brew the tea for at least 6-8 minutes!